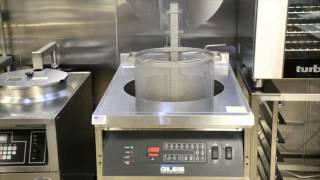 Find out how to get your Giles 400 (gas or electric) fryer up and running and cooking product in no time! Caution: Use care and wear necessary protective gear when near hot oil and/or operating equipment. 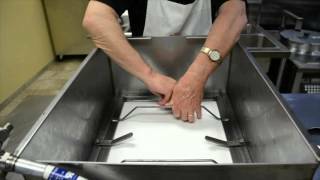 Find out how to easily assemble the Giles 400 (gas or electric) filter vat so you can effectively filter your oil. Once you have your filter vat assembled with new filters, learn how to effectively filter your oil to ensure the best taste possible. 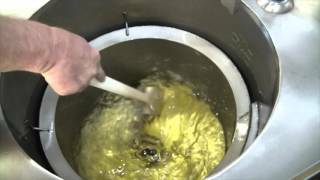 When it’s time to clean your fryer and change out the oil then this is the video you need to watch. 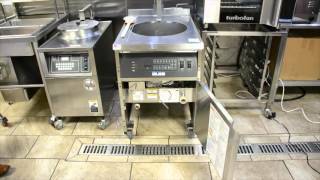 We quickly demonstrate an effective process to keep your fryer clean.